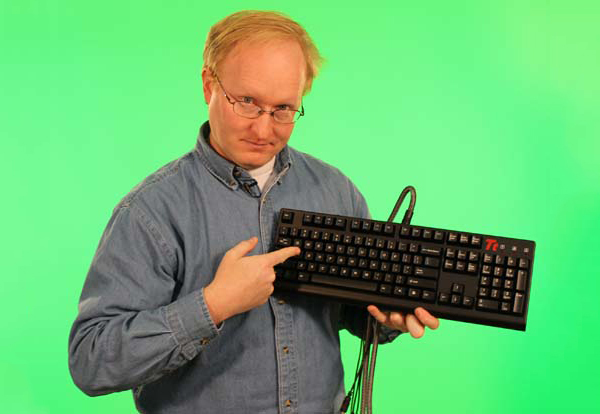 Modder Ben Heck has removed one of the few remaining advantages of videogame consoles over the PC master race: the analog stick. Heck sacrificed an Xbox 360 controller to make the W, A, S and D keys on his keyboard behave like the left stick on the controller, i.e. the harder he presses the keys, the faster his character moves in game. Or whatever “-er” is supposed to happen. If you already had your soldering spellbook and modding whatzits close at hand, head to Ben Heck’s website to grab the files and code you’ll need for the mod.